I told E that I was game for anything. So, we went to Hingham. As we drove south, we realized just how hungry we were. We talked dinner and we talked post-dinner. I pointed out every dessert option along the way. Ice cream. Frozen yogurt. Donuts. E suggested seeing a movie. But it became simple when we saw the word "Frappes" on the awning at Wahlburgers. And even simpler when we saw Alma Nove across the way. Back-to-back Wahlburg experiences. I sat there with E, looking back and then looking ahead to a new phase full of promise and potential, as the fire pit raged outside and cast flickering, fiery orange light into the restaurant. 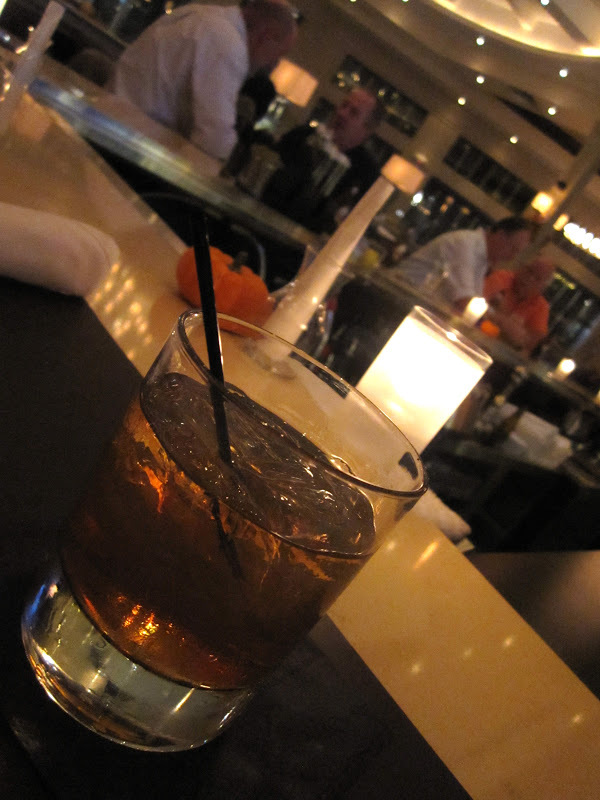 As the the light bounced off every marble surface and the ice cubes in my bourbon slowly melted, I felt warm. For so many reasons. For all of the right reasons. For the first time in a long time. Gorgeous post, gorgeous imagery. So happy for you!